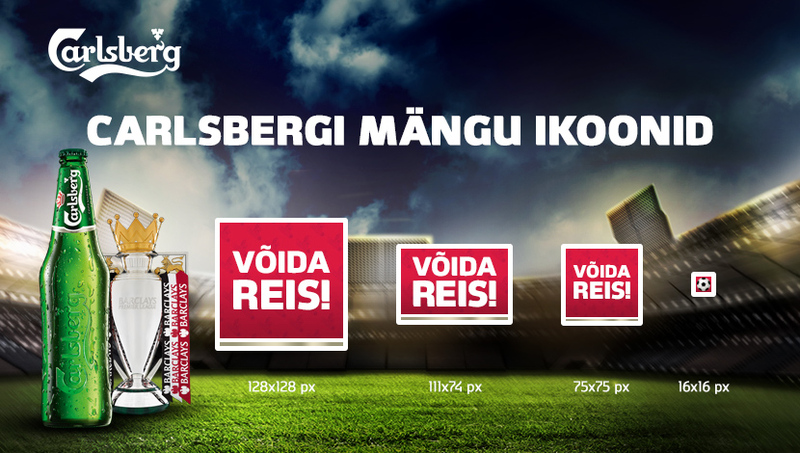 The aim was to awake the estonian fans of Carlsberg Facebook Page and to give away VIP tickets to Preimer League football games. 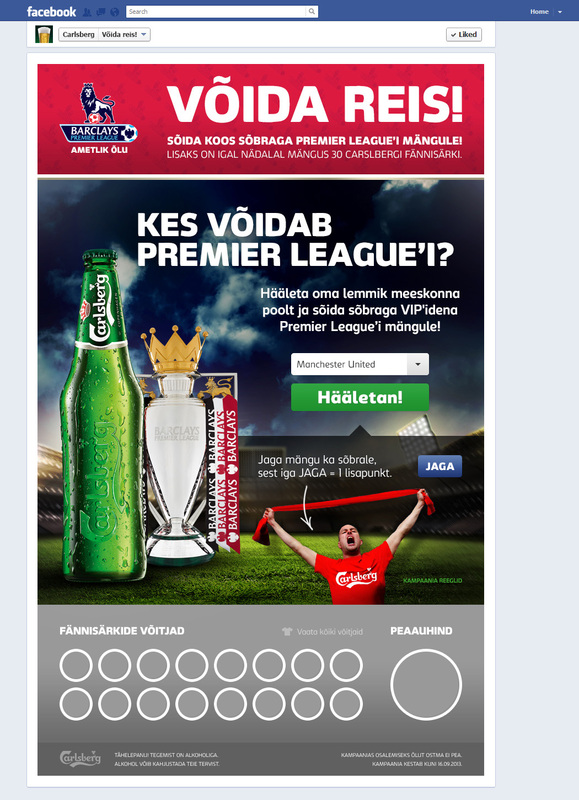 In cooperation with Der Tank and MindJumpers we created a Facebook app targeted only to estonians. The consumers objective was to predict the winner of all the participant football teams of Premier League. 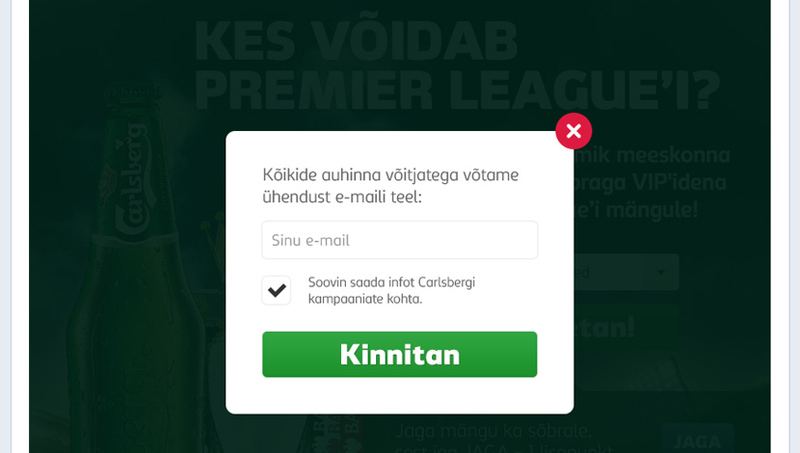 For motivation, every week we gave away 30 Carlsberg football fan T-Shirts and the grand prize VIP tickets with full trip and service to one of the Premier League final games.